There are many similar examples in mass media, now merged into a single web of circular non-thinking and positive feedback through Twitter, Facebook, and so on. Ordinary people must be rather confused when assaulted by a cacophony of learned opinions from the "world authorities," "global experts," "friends," and other talking, writing and tweeting heads. 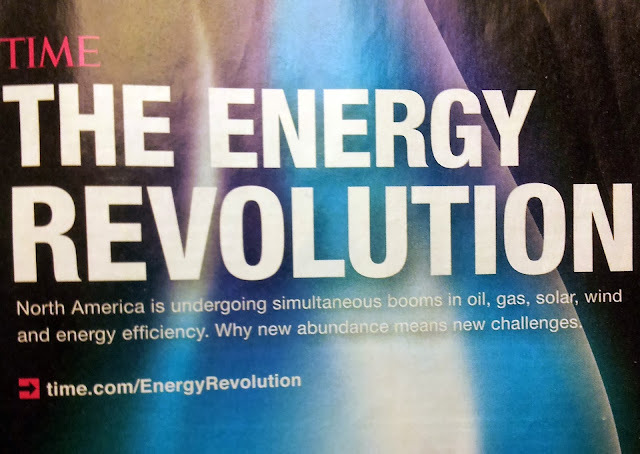 Now, if I were an emperor or Edward Bernays, author of the original Propaganda (1928), how would I create a narrative about American oil and gas A.D. 2013, and make the world believe it? First, I would have to understand the cold facts. The U.S. still is the top world consumer of petroleum and natural gas. Half of the petroleum is imported. Most of the increase of domestic petroleum production is the non-petroleum light condensate from wells that cost a lot and decline fast. Since my refineries are fine-tuned towards heavier petroleum, not condensate, I have a small problem, but I will use Canadian heavy crude imports through the new Keystone pipeline to solve it. If not the pipeline, I'll use trains to solve my problem. I could go even deeper into the Gulf of Mexico and farther north into the Arctic, but such moves are monstrously expensive and risky, and I must be careful. Actually, everything I do is too expensive to continue, so I finance my house of cards by borrowing astronomical amounts of money. Then I borrow even more money to keep on borrowing money. But I do not want to dwell on such details. 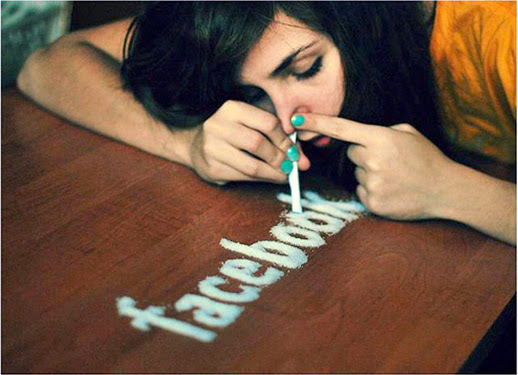 Instead, I'll help you snort Facebook a little longer. If not, I would need to tell each tax-paying fool that his share of my borrowing has been over one million dollars. Yes, all of you little people became negative millionaires while you were busy tweeting each other! I digressed, but I could not help laughing a little about the total debt I created by globalizing the world economy and exporting my debt all over the place. Fooled ya! Going back to my script: I import a lot of oil from Canada, and will import even more in the future. So, since I think that I can destroy enough demand for petroleum in the U.S., and use Canada and few other countries to fill the rest of my tank, screw OPEC. More specifically, when Saudi Arabia exhausts the Ghawar, the largest oilfield in the world, they will be unable to export enough oil and become irrelevant to me. Screw them. Screw Russia, too. Even though I badly need access to oil and gas in Siberia, I have never trusted them Russians. And for good reason. Screw them. Second, I would need to convince everybody around the world (but not in Canada) that I don't need their stinking oil. I'll do this by developing a story of eternal oil and gas abundance in North America. Both will gush forever from a horn of plenty, a modern cornucopia my fellow Americans have always hoped for. I still need to make my fellow Americans use less petroleum, but I can do this through pricing, taxation, and expensive toll roads, without ever mentioning the real reason: Like there is not enough oil to continue our current drinking binge. Third, I could throw in corn ethanol for energy independence, and a few other renewables for fun. Those are expensive, subsidized, and not very important to me, but by paying lip service to "green energy" I can keep the left distracted and the right quiet. Oh, I forgot, I also need to keep on praising our superior technology and advances in efficiency. This sounds like a plan. Now I need to find several well-placed "independent experts" in my extensive network, and ask them to retell my script as many times as possible. It is not the content that counts, but the simplicity of message, and repetition, repetition, repetition... Like this Energy Revolution page on Time's website. Which brings me back to Bernays, the Powell memo, and the three examples above. Time Magazine, October 18, 2013. Hmm, doesn't this statement imply that a Luxembourg with no hydrocarbons whatsoever under its soil and good investment climate might become a larger producer of oil and gas than Iraq with its giant untapped oil reserves - the largest in the world?! Oops, stuff happens when my man parrots the script. But never mind, the confused readers might not notice, and my man can always rewrite this paragraph and repost it. At least he put down Iraq." This reminds me, I just borrowed a trillion dollars to liberate Iraq from Iraqis. But now those Chinese, Iranian, Italian, French, and Russian oil companies are getting all the Iraqi oil and gas concessions, and I got nothing. So screw Iraq (but not Iraqi Kurdistan). Iraqi Kurds gave me the concessions I wanted hoping I would liberate them from Iraq. But now that Syria, Turkey and Lebanon are unstable - and I lost the rest of Iraq -, I can't. Oops, all these unknown knowns. They confuse me. On the bright side, my experts on the West Coast (Amy Myers Jaffe) and the East Coast (Ed Morse) did a tremendous job presenting my script to the world. Thank you both. I could not do this better. And U.S. crude oil exports might also be possible some day, strengthening America's lead in market-related pricing for kingpin crude oil, much the way rising North Sea production did in the 1980s. ..."
What I love about this brilliant text is that my entire script is laid out in its essential, unquestionable beauty in just a few sentences. But I would caution Amy and Ed not to be too specific about natural gas and crude oil exports from the U.S., and U.S. becoming a new democratic Saudi Arabia. That's because it will not happen. We may barely reduce imports of crude oil, and barely produce enough gas to satisfy our ever growing needs over the next few decades. In my mind, it is far better to put others down and say that we no longer need them, because now we can satisfy most of our thirst for oil and gas. Just imagine an Egyptian despot on our payroll reading these words and calculating how much longer he has to live before his house of cards crashes without our constant propping it up? Otherwise, Amy and Ed, you are beautiful. I could glow about the last press example, but you're already getting my drift. These three literary gems are examples of a narrative better than merely telling the truth. Most people want to be lied to. That's why we have elections. Every four years we are free to choose our favorite pack of lies, and revert back to our iPhones, Facebook and Twitter. Sleep tight America. I am humbled. Why didn't I think about such an elegant novel way of screwing Americans? May be because I still think that Americans are on our team? I need to grow up. "There was great debate about what Nixon should do, but ultimately Nixon, relying heavily on the advice of the self-confident Connally, decided to break up Bretton Woods by suspending the convertibility of the dollar into gold, freezing wages and prices for 90 days to combat potential inflationary effects, and impose an import surcharge of 10 percent. "Connally brilliantly packaged the program not as America abandoning its commitment to the gold standard but as America taking charge. He turned the dollar's collapse, which could have appeared shameful, into a moment of hubris." 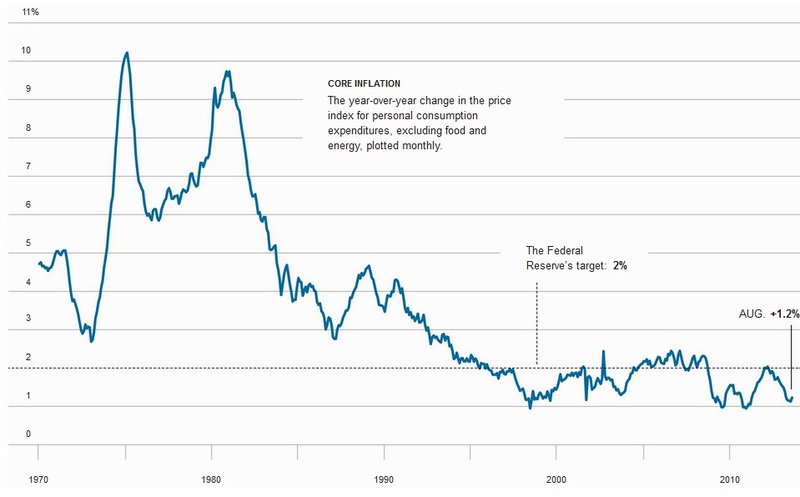 This disastrous move caused the prolonged stagflation of the 1970s, and the 45% cumulative inflation by 1976. Since very few Americans remember anything older than yesterday, my boys are fixin' to do it again. But this time around the consequences will be direr than in 1971. Like a two-digit inflation for a decade or longer? Please click on this image to see it in full resolution. 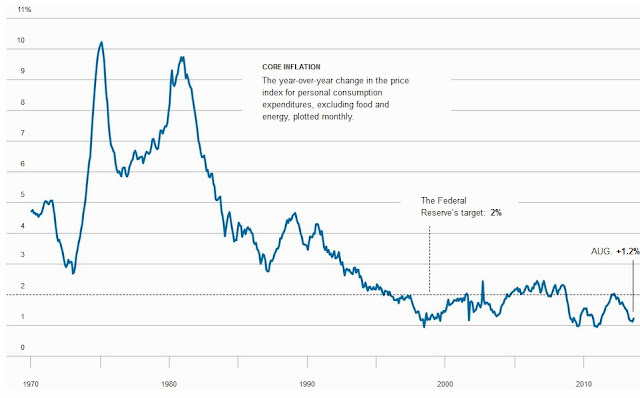 If we follow the 1971 example, we may expect 10+ % inflation rate for over a decade. Such inflation would wipe out most of the retired people and people on fixed incomes. It would impoverish 98% of the rest. Source: The New York Times, Published: October 26, 2013. P.S.P.S. 11/08/2013. 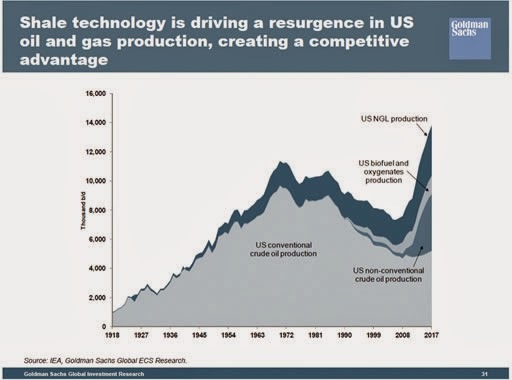 My crew at Goldman Sachs, when they rest from trying to starve millions of poor people around the world or from conspiring to destroy the world economy, they toy with predicting future of production of oil and condensate, and ethanol in the U.S. Here is their prediction for the record, to be revisited a year or two from now. P.S.^4. 08/25/2015. My friend, Art Berman, has just pointed out that the script I mocked here two years ago, is well and alive. It is used to con the gullible into losing even more money than they just lost in the global tera$-con I so aptly described. Thank you! Why are we so married to delusional stories? Is it a basic flaw in our brain evolution? It's so hard to find anyone speaking clearly to the delusion. Thank you again. George, thank you for the kind words. During individual development, repeated sensory experiences and cultural norms literally shape the human brain’s synaptic circuitry in patterns that reflect and embed those experiences. Patterned thinking acquires a physical presence in the brain. (Brain and Culture, Bruce E. Wexler, The MIT Press, 2006). Most people are genuinely unable to face the truth. Based on this premise, most if not all human civilizations have been built. “The masses have never thirsted after truth. They turn aside from evidence that is not to their taste, preferring to deify error…” (Gustave le Bon, 1896). Too elaborate. I think the reasons for the propaganda campaign are much simpler. The moment enough people understand the energy problem (i.e. ever rising costs and ever declining energy yields from hydrocarbon energy), oil company asset prices take a nosedive (Wanna by a used offshore platform, cheap? 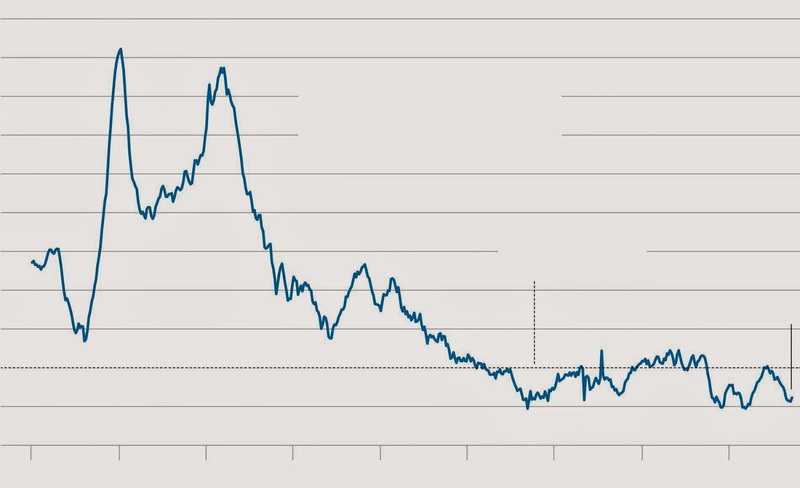 ), bank financing dries up, oil stock prices crash, and most importantly, bonuses disappear. I don't think anyone is seriously thinking much beyond, "Hey, let's keep the party going as long as we can..."
I just found an article in the Polityka, entitled "The Middle East without Americans" (in Polish, www.polityka.pl/swiat/analizy/1565617,1,bliski-wschod-bez-amerykanow.read). According to this article, the reason for putting down the Middle Eastern countries is a complete fiasco of the last 25 years of U.S. policy in the Middle East that culminated with the disastrous invasion of Iraq. This last war denied the U.S. flexibility of choosing "allies" in the Middle East. It was followed by the U.S. naively supporting democracy in Egypt and crossing the ruling military junta there. We were not forgiven for this transgression. Ironically, the U.S. is left with only one option: Alliance with Iran to counterbalance the Sunni expansion. And this is precisely what is happening right now, in addition to the silly but effective posturing on oil supply. So here is the simple reason for the outburst of propaganda described in this blog.